Lismore Primary School offers a range of programs to cater for the diverse learning needs of students. We value cultural diversity and strive to provide an inclusive and versatile curriculum with a strong focus on the core subjects of English and Mathematics. At Lismore PS we also place a large focus on Health & Wellbeing and the Positive Education philosophy. Information technology is integrated into all curriculum areas. As a global community we utilise the polycom to connect with local, national and international communities. 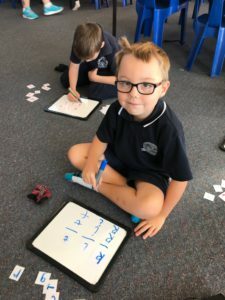 In 2018, Lismore Primary School is excited to be implementing Sounds Write, a synthetic phonics program. Sounds Write is a highly structured, multi-sensory, incremental and code-oriented, instructional approach to teaching children to read and spell. The Sounds-Write program provides fast and effective teaching for children at all levels. It teaches all key elements of conceptual understanding, factual knowledge, and the three essential skills of blending, segmenting and phoneme manipulation necessary for learning to read and spell and it does so on a daily basis until all children achieve the automaticity that underlies the fluency of every successful reader. Big Write and VCOP creates a positive ethos towards writing for all students Foundation to Year 6. The Big Write methodology is; ‘if they can’t say it, they can’t write it’. With talk and communication an imperative element of the program. Students are encouraged to be ambitious, up-level their work and focus on the elements of VCOP in their writing. By Highlighting these areas as ‘goals,’ there has been a direct link to improved writing skills. Big Write sessions conducted on a weekly basis are characterised by a ‘special’ atmosphere with a calm and quiet environment created in the classroom. This can involve quiet music playing while the children write to enhance the special experience. They may have special paper, special books and special pens or pencils. 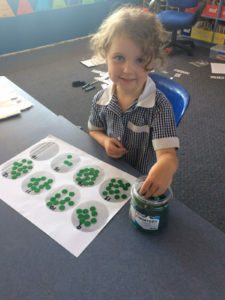 Lismore Primary School believes in a hands on approach to learning where children are immersed in practical and meaningful mathematical experiences. A daily focus on ‘mental maths’ allows students the opportunity to develop quick automatic recall of important mathematical facts. The Growing With Gratitude Program aims to help teachers, students and families easily develop the habits of gratitude, kindness and mindfulness that have been identified as the stepping stones to greater happiness and success. Teaching children these skills as early as possible in their journey helps them develop greater resilience, builds their emotional and physical wellbeing, and promotes positive thoughts and habits. The program is based around learning the Five Habits of Happiness, and can be completed by children in every primary year level with their teachers or with their parents at home. We are very fortunate to have a Japanese teacher visit our school every Friday to provide authentic language and cultural experiences for students across the school. We have established regular links with a Sister School in Japan Hokuzan Elementary & Junior High School via video conferencing. The core curriculum at Lismore Primary School is enhanced by visiting specialists including the MARC and MACC vans. The MARC van allows students and staff the opportunity to borrow resources and books while also providing focussed library studies to students from Foundation to Year 6. MARC visits our school on a weekly basis. The MACC van enhances the Arts curriculum through providing an array of art experiences and opportunities for students across the school. MACC visits our school on a fortnightly basis.